Most people want the ability to shape and enhance their body to their unique preference. Liposuction is a fat reduction procedure that sculpts the body and removes stubborn fat that is resistant to diet and exercise. Liposuction is one of the most common cosmetic procedures performed in the United States today. However, even though liposuction is designed to remove fat, it does not replace or serve as a substitute for proper diet and exercise. 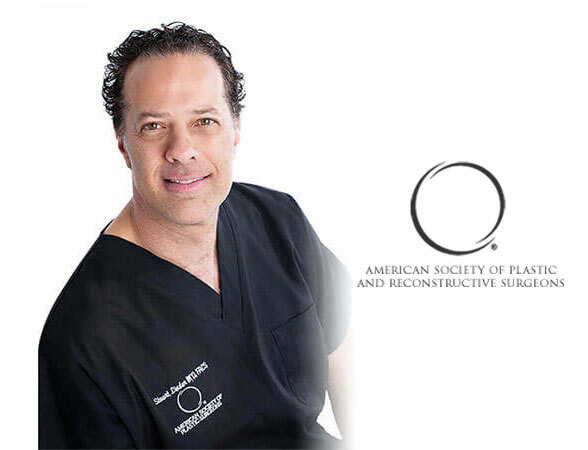 Patients who want to enhance their figure with liposuction can expect superior results with Beverly Hills Plastic Surgeon Dr. Stuart A. Linder. If you are interested in undergoing liposuction or if you have any questions about the procedure, please feel free to contact us for a consultation to address your concerns and discuss in more detail what the process involves. Many men and women long for a chiseled, toned physique, but this can be difficult or even impossible for some to accomplish using at-home methods. Slimmer, smoother contours are in high demand, and they can be achieved with liposuction. Liposuction makes it easy to trim fat as necessary, fine-tuning a patient’s silhouette. Maintaining a healthy, active lifestyle can help people look and feel their best. For some individuals, however, diet and exercise do not remove relentless localized fat deposits. Liposuction gives patients the freedom to eliminate specific pockets of fat that they could not reduce using traditional methods. While some exercises can help tone a particular part of the body, there is no workout that spot treats deposits of fat. Liposuction is a fat removal treatment that can be tailored to each patient’s individual needs and goals. Patients who opt for liposuction can pinpoint unwanted fat in certain areas of the body for fully customized results. Tumescent: This is the most common liposuction technique. It involves the injection of a high volume of diluted lidocaine and epinephrine into the subcutaneous fat. Wet: This technique requires the injection of 100 milliliters of local anesthetic containing epinephrine. Super Wet: The super wet liposuction technique involves injecting approximately half the volume of diluted local anesthesia used for tumescent liposuction. Ultrasonic: This technique requires the use of tumescent fluid and a metal device that delivers ultrasonic energy. The energy heats up the fatty tissue of the deeper adipose layers. Vaser Ultrasonic: This liposuction technique removes fatty deposits beneath the skin and also provides ultrasonic therapy. Power Assisted: This method involves using a compression motor with a spinning rotation that is attached to a lipo cannula. During liposuction, one or more incisions are made near the treatment area(s). When possible, the incisions are created within the natural creases of the skin. Dr. Linder inserts a small hollow tube called a cannula through the incision to penetrate the underlying fat. The cannula is connected to a flexible tubing and suction pump. Dr. Linder then moves the cannula back and forth through the fat, vacuuming the fat out through the tube. Liposuction at Brighton Surgery Center is performed under general anesthesia with Board-Certified Anesthesiologist. Laryngeal mask airways are used with the majority of patients. However, those who have a history of reflux or gastroesophageal disease are usually better candidates for endotracheal tube intubation. Surgery: Liposuction surgery takes between one and three hours. Recovery Room: Patients are required by federal law to stay in the recovery room for at least one hour. Postoperative Visit: All dressings are carefully removed. It is recommended that patients do not stand during dressing removal because of a possible vasovagal-induced hypotension that can occur. "I would like to share with everyone with what an amazing experience I had with Dr. Linder. 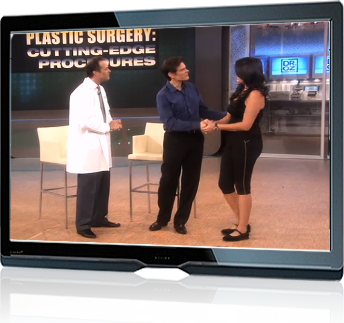 I saw Dr. Linder on TV and was very interested in having the “Muffin Top” procedure. When I met with the doctor he was very informative. I was very happy with his honest opinions. I felt very comfortable with him and his staff. I went along with my liposuction procedure and I am absolutely satisfied with my results. Dr. Linder, Thank you for all the great work and dedication you give us patients. You made such a great impact in my life." "Dear Dr. Linder, You Made a difference. I sincerely would like to thank you for taking care of my liposuction needs. I am on top of the world with happiness and a renewed self-confidence." "Dear Dr. Linder and Staff, I knew the minute I called your office that this was the place I was going to have breast augmentation and liposuction. You all made me feel so comfortable and answered all my questions thoroughly. Coming all the way from New York I knew that I had to feel 100% confident about such an important decision I was making in my life. Thank you Dr. Linder for the amazing results you gave me! Being a mother of two, and self conscious about my appearance, this has given me the self-esteem I’ve needed for years." The cost of liposuction will vary per patient. Cost includes surgeon’s fee, operating room fees, and anesthesia fees. What types of medications will I be given after liposuction? The types of prescribed medications depend on the patient. Patients are given one of two antibiotics: Ciprofloxacin or Keflex (not recommended for patients with penicillin allergies). To manage pain, Dr. Linder may prescribe Vicodin, and Zofran prevents nausea and vomiting. What are the potential risks associated with liposuction surgery?